American alligators once faced extinction. The United States Fish and Wildlife Service placed them on the endangered species list in 1967. Fortunately, the legal protection worked. Just 20 years later, American alligators were taken off the list. The American alligator is one of few success stories of an endangered animal not only saved from extinction but now thriving in the wild. The combination of state and federal protections, habitat preservation efforts, and reduced demand for alligator products have improved the species' wild population which now is above one million and rapidly growing. One look at these menacing predators—with their armored, lizard-like bodies, muscular tails, and powerful jaws—and it is obvious they are envoys from the distant past. The species, scientists say, is more than 150 million years old, managing to avoid extinction 65 million years ago when their prehistoric contemporaries, the dinosaurs, died off. 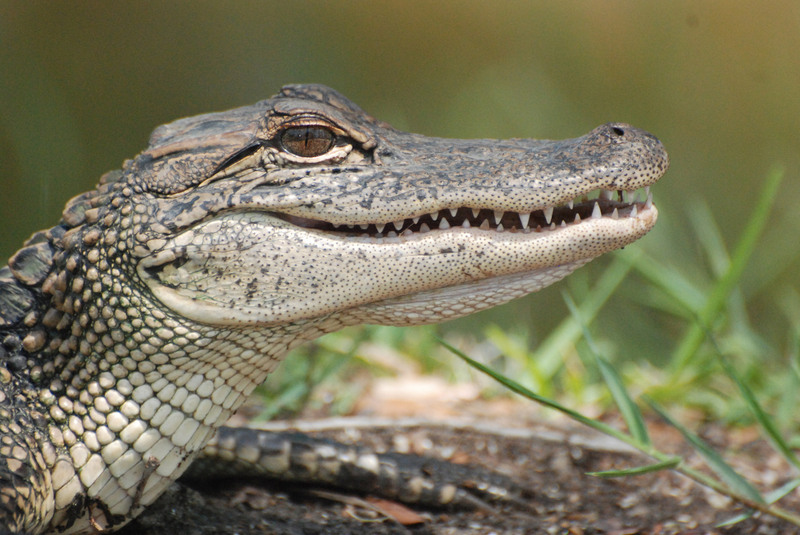 American alligators reside nearly exclusively in the freshwater rivers, lakes, swamps, and marshes of the southeastern United States, primarily Florida and Louisiana. Heavy and ungainly out of water, these reptiles are supremely well adapted swimmers. Males average 10 to 15 feet (3 to 4.6 meters) in length and can weigh 1,000 pounds (453 Females grow to a maximum of about 9.8 feet (3 meters.) Hatchlings are 6 to 8 inches (15 to 20 centimeters) long with yellow and black stripes. Juveniles, which are on the menu for dozensof predators, including birds, raccoons, bobcats, and even other alligators, usually stay with their mothers for about two years. An alligator can live up to 30 to 50 years. 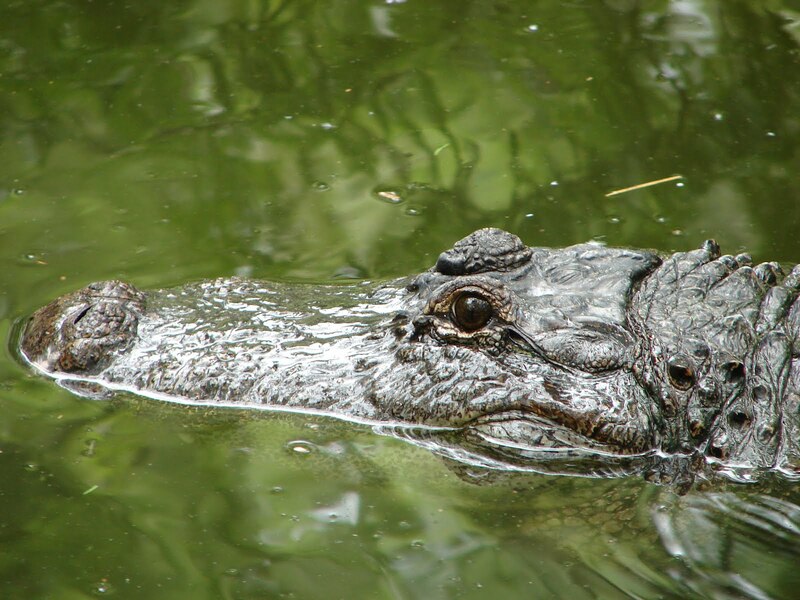 Adult alligators are top predators critical to the biodiversity of their habitat. They feed mainly on fish, turtles, snakes, and small mammals. However, they are opportunists, and a hungry gator will eat just about anything, including carrion, pets and, in rare instances, humans.